Whisky is evocative. 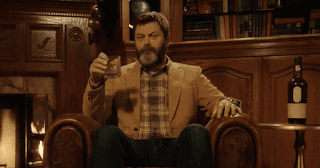 Sipping a whisky, or even thinking about a whisky you've enjoyed inevitably leads you to form certain associations. When I think of Lagavulin 16 Year Old, I think of Nick Offerman sitting in a leather armchair by a fireplace, looking stolidly into the camera. Jack Daniel's Old No.7 immediately brings Motörhead's Lemmy Kilmister to mind. I can't look at a bottle of Bushmills without thinking of James Joyce's Ulysses. I've wanted to try this particular Bruichladdich (you can say "Brook-laddie" or listen to Brian Cox's pronunciation here) for a long time but I've been reluctant to pull the trigger without trying it first. I tend to like Islay scotches, but this one is unpeated, so I hadn't taken the plunge. 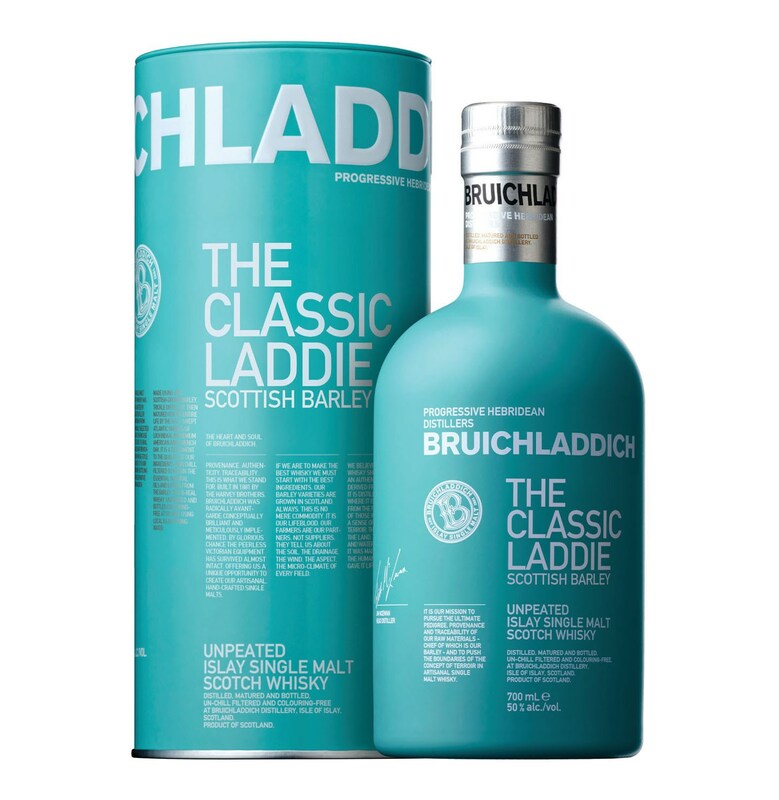 Luckily, a friend opened a bottle of the Classic Laddie Scottish Barley this past weekend and I got to sample it. This whisky was sipped outside on a hot summer day and it feels like the appropriate setting for the Classic Laddie. Palate (undiluted): medium bodied, creamy mouthfeel, not all that hot for a whisky bottled at 50% ABV, a bit darker in flavour than I expected, with brown sugar, nuttiness, malty with a bit of fruitiness at the tail end, white grapes perhaps. Finish: medium length with the brine returning, a little mint note, it was (dare I say it?)"refreshing". With water, there were more fruity notes coming through, mostly lemon and cherries on the nose and some green apples and a bit of honeydew melon on the palate. The nutty notes are there with and without water. I would call it walnut, but it didn't have the slightly bitter, drying feel that walnuts sometimes have. Walnuts without their skins, maybe? Forgive me if that sounds über-pretentious. This feels like a summer whisky. Maybe it's the marketing schtick or the turquoise bottle, but it's definitely reminiscent of the seaside. It also feels like a whisky you want to sip with friends. 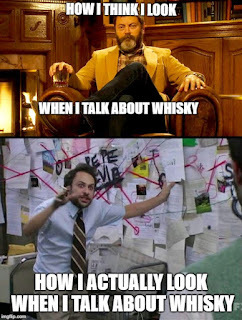 It's not super complex, but it is not bland mixing whisky either. It's certainly no surprise that this is a young whisky (most of what went into this particular vatting is 7-8 years old according to the bottling code/website information) but it's a young whisky that's well-balanced. Everything is nicely integrated. Bonus points to Bruichladdich for bottling at a respectable strength (50% ABV) and extra bonus points for bottling at a natural colour, no E150a thank you very much. 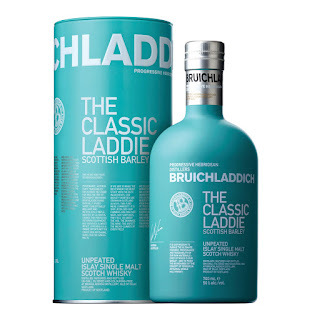 Having tried The Classic Laddie, I will probably buy a bottle sometime in the future. It's not a game-changer, but it's a very friendly whisky. Recommended. Great review, I personally love this stuff! I liked it too. Not life-changing for me, but I’d definitely buy a bottle without hesitation.